Driving a large, heavy piece of equipment is not easy. It takes certain skills to maneuver an 18-wheeler safely down windy roads and through traffic jams. Driving a tractor-trailer requires training. Many trucking companies will not hire any drivers with less than two years of experience. However, with the recent truck driver shortage, some companies are hiring less experienced drivers, but providing them with thorough on-the-job training and shadowing by veteran drivers. Training new drivers can be expensive and time consuming. For legal reasons, it is extremely important to document the training and results. If an accident were to happen, plaintiff attorneys will take advantage of any gaps in training records to argue that the company was negligent and its drivers were unfit for duty. Whether you are a large fleet or an owner-operator looking to hire your first driver, it is critical that you utilize the best training methods and document them. Thankfully, technology can help. Technology is constantly changing at a rapid pace, so it’s important to stay up to date on the latest in the industry. We have identified four technologies being used by some of the country’s largest fleets to train their new drivers. While not all of these technologies will work for your needs, you might identify one that could save you both money and time while making training documentation more efficient. Technology has come a long way, especially in the trucking industry. Truck driving is still considered to be one of the most dangerous jobs in America today, but luckily truck manufacturers are designing safer trucks with advanced safety tools. Freightliner Cascadia® and Cascadia Evolution trucks are now manufactured with the new Detroit Assurance™ suite of safety systems. Detroit Assurance is fully integrated with the Detroit engine and transmission. 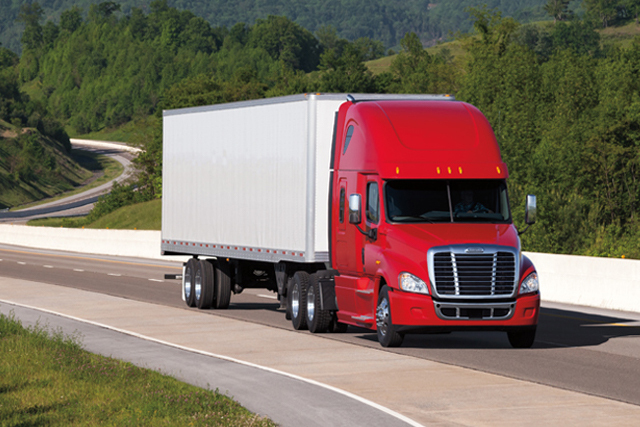 The Detroit Assurance system has multiple safety features, such as the radar system that can sense when a vehicle is too close and automatically adjust your truck’s cruising speed to maintain a safe following distance. Adaptive cruise control decelerates the truck when it senses a slower vehicle ahead, maintains a safe cruising speed, and then reaccelerates to set cruising speed when the slower vehicle clears. In addition, an optional camera system can track the truck’s position within a driving lane and alert the driver if they cross a lane without using a turn signal. Not only do these types of tools help protect both drivers and companies, but they help new drivers learn the rules of the road faster. Gone are the days when you have to sit in a boring classroom all day. Most learning sessions can be conducted online using new technology. Maverick Transportation uses a customized software training program called Truck Management Skills (TMS). The training course contains a variety of computerized and instructor-led courses on safety, map reading, electronic logging and many other topics. Additionally, Maverick designed the course to administer tests to see how the drivers are performing and what areas they might need a little help with. Maverick uses EBE Technologies’ Learning Management System (LMS) software. The LMS allows Maverick users to embed their own training videos, slideshow presentations, and other coursework and quizzes to create a customized program for their drivers. In addition to learning how to drive a truck, it’s important for new owner-operators to know the essentials of running a small business. ATBS (tax and accounting experts for independent contractors and small business owners) has created an educational program called CABS that helps owner-operators learn about tax deductions, effectively managing fuel, fixed and variable expenses, incorporation, maintenance, time management, money management, retirement strategies, and more. Every company, including owner-operators, has their own company rules and methods of training new drivers. There is no “one size fits all” training method. Many companies provide their new and veteran drivers with customized training content to meet their needs. While some companies have the in-house knowledge and skills to create their own customized training programs, others need a little help. J.J. Keller has an Implementation Services department that is designed to give fleets a cost-effective way to customize training materials and help them develop and implement their own online training programs. Documentation is key. Record everything. If you’re not sure if it’s important, record it anyway. It could help you in the end. Virtual Alliance has recently developed a tool called Assessment Deck that converts paper forms to electronic forms to capture and record information and create records such as vehicle inspections and internal audits. Forms can then be sent electronically to the people who need them with a push of a button. Technology has slowly been automating much of our lives over the recent decades. Just look at the banking industry — you can now deposit a check with just your smartphone! Trucking companies are starting to adopt new technology for training new drivers and managing their businesses because it saves them money, cuts down on the number of hours spent shuffling paper, and helps new drivers learn the rules of the road better.